Cornbread is a common bread in United States cuisine, particularly associated with the South and Southwest, as well as being a traditional staple for populations where wheat bread was prohibitively expensive. 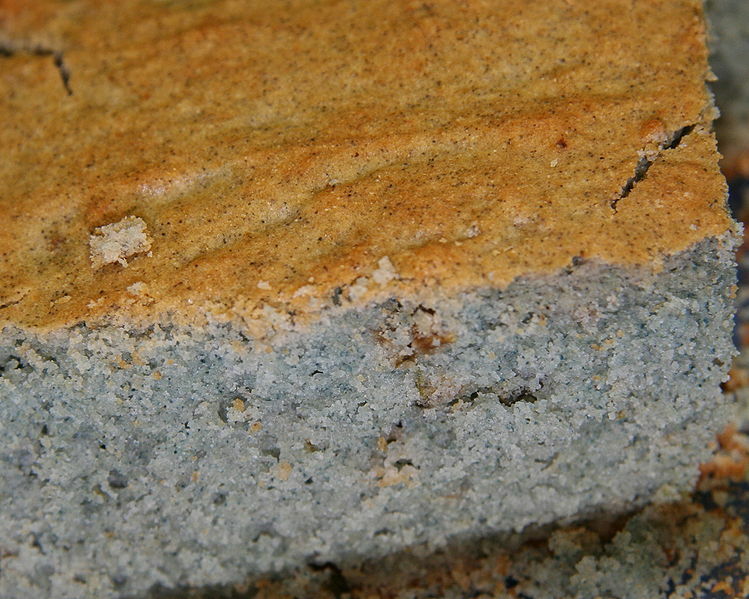 Left: Home baked cornbread made with blue and yellow cornmeal. In some parts of the South it is crumbled into a glass of cold buttermilk and eaten with a spoon, and it is also widely eaten with barbecue and chili con carne. In rural areas of the southern United States cornbread is a common side dish, often served with homemade butter, chunks of onion or scallions. Cornbread crumbs are also used in some poultry stuffings; cornbread stuffing is particularly associated with Thanksgiving turkeys. A slightly different variety, cooked in a simple baking dish, is associated with northern US cuisine; it tends to be sweeter and lighter than southern-style cornbread. 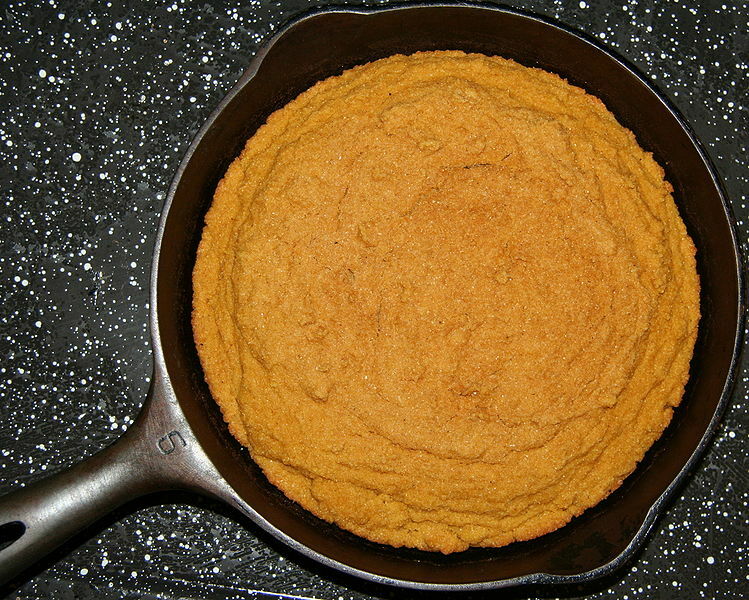 A typical contemporary northern U.S. cornbread (referred to in the South as "Yankee Cornbread") recipe contains half wheat flour, half cornmeal, milk or buttermilk, eggs, leavening agent, salt, and usually sugar, resulting in a bread that is somewhat lighter and sweeter than its more traditional southern counterpart. In the border states and parts of the Upper South, a cross between the two traditions is known as "light cornbread." Baked cornbread is a quick bread that is dependent on an egg-based protein matrix for its structure (though the addition of wheat flour adds gluten to increase its cohesiveness). The baking process gelatinizes the starch in the cornmeal, but still often leaves some hard starch to give the finished product a distinctive sandiness not typical of breads made from other grains. Mix water, yeast and sugar. Let this sit for a few minutes until it bubbles. Bake in a greased 9x9 pan at 350°F (175°C, gas mark 4) for 25 minutes or until the edges turn golden brown.